Presentations in various departments of Honduras and the states of Maryland and Virginia and in Washington, D.C. 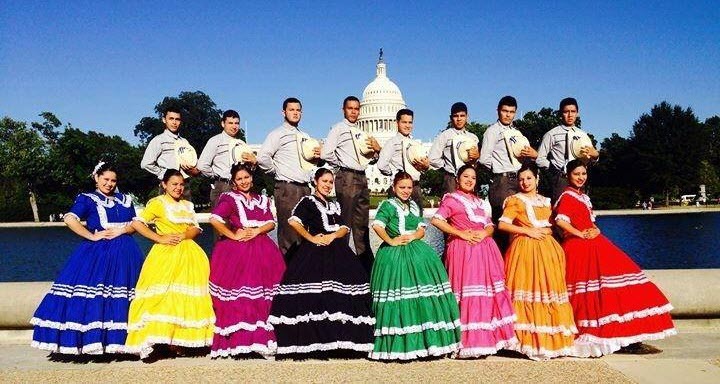 In front of the capitol of the United States, on September 14, 2013. United States International tour of September 11 to 25, 2013 with participation in the festival in commemoration of the Independence of Honduras "Juntos por Honduras", organized by the Embassy of Honduras in Washington DC, on 15 September, in Gaithersburg, Maryland. Productions in Virginia, Maryland and Washington D.C.